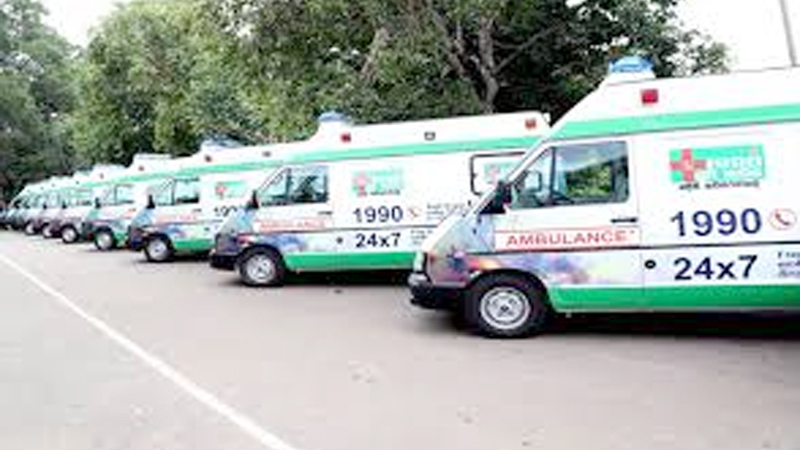 The Suwa Seriya Ambulance Service has so far served over 800,000 people with 35 child births taking place in these ambulances, Health Minister Dr. Rajitha Senaratne said. Minister Senaratne said while a separate ambulance service is available to transport patients from one hospital to another, there was no ambulance service to transport patients from their home to a hospital. There are 220 ambulances operating at present. He was addressing a ceremony at the CMC to hand over 152 modern Ford and Benz ambulances worth Rs.2,850 million yesterday evening. Minister Senaratne said that 200 more Benz ambulances and 250 Ford ambulances will be imported to Sri Lanka. They are modern, high tech ambulances. A modern digital MRI Scanner had been given to the National Hospital of Sri Lanka (NHSL). Medical tests can be performed in three minutes using this high tech modern scanner.